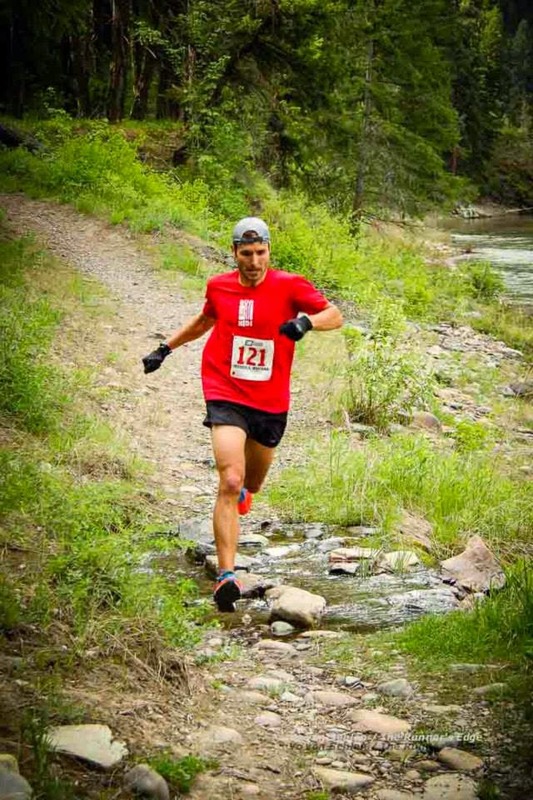 Below is my interview with top Montana trail runner Jimmy Grant age 36. He is a father of 2 young children, historian, and co-founder of Montana Trail Crew. Through his passion for trail running and exploration, Jimmy has been instrumental in bringing the community of Montana trail runners together. What are you goals for the season? I’m not totally sure, but there are definitely a few events that will be my “A” races for the season. Most likely these will include the 25K at the Rut and the Ridge Run if I can get in. I’ll also run a couple regional 50Ks and maybe even a road marathon if my fitness comes around at the right time. But generally speaking, I’d like to race a bit more than last year, get some wins, or improve on past performances. I also have a big adventure running project I’m scheming that’s akin to the Wilderness Running Project I did last year. But I’m still working on some of the details. Should be a lot of fun though. What are your top 5 running accomplishments? I’d say running sub-2:30 in the marathon, winning 5 consecutive Riverbank Run 10Ks, winning 4 consecutive Snow Jokes, remaining competitive for over 20 years, and being versatile enough to be competitive from road 5Ks to mountain ultras. You have the record at Paradise run, any other records? I’ve had a few course records, but they never seem to last. I just checked and found out that my City of Trees Marathon CR set back in 2010 fell in 2013. My Madison Marathon CR set in 2013 fell in 2014. Other course records have fallen because of changes in the course, such as Mountain to Meadow. Still others are gone because the races don’t exist anymore, like Wheat Montana 5K and Montana Made 10K. I’m pretty sure my personal best of 31:22 at the Riverbank Run 10K is the fastest time recorded on the modern course, but there are probably guys who ran the previous course faster back in the 1980s or early 1990s. I still have a handful of others, such as the CRs at both the 5K and 7 mile distances at Run for the Luck of It. I also just set CR a month ago at the Savage Gulf Marathon in Tennessee. I need to run fast at some more obscure races, I guess. As for the 11 Miles to Paradise record, I expect it to go down this year considering the stacked field I’m up against. What motivates you to train? I love to run and consistent training makes everything I do in running possible. I love to run fast, running feels good, it gets me outside, and allows me to experience beautiful places. I consider myself lucky to be able to run like I do, but it takes more than luck. It requires training. How do you juggle family and being a competitive runner? Generally speaking, I’m fortunate to have a wife and kids who are supportive of what I do as a runner. They recognize that it’s a part of who I am and appreciate the positive influence it has on my life. But I realize that this only goes so far, so I still do whatever I can to limit my time away from them. On weekdays, I start work early and my job is usually flexible enough where I can step away from my desk for a workout. Otherwise I’ll get my miles in at night after I get my kids to bed. On weekends I try to be on the trail by 6:00am—earlier in the summer—so I have the bulk of the day with my family. With a career, family, and running I really don’t have a whole lot of time for anything else. So there’s not a lot of outside social life going on there. What is your vision of Montana Trail Crew? Montana Trail Crew is a non-profit organization dedicated to advocating for trail running and the conservation of public lands and open space. At first glance these may appear to be two completely separate things, but trail running is inextricably linked to the landscape. Most trail runners I know in Montana recognize just how fortunate we are to have the abundance of public lands and open space that we have here. I see Montana Trail Crew becoming forum where we can communicate issues affecting our lands, a vehicle through which we can act as stewards of our local trails, and a means to bind our state’s geographically sprawling trail running community by promoting Montana trail running people, places, and events. To make this happen, I think it’s important that trail runners from around the state get involved. Montana Trail Crew is not just a board of directors or people who write articles, but volunteers, group run participants, film festival attendees, and anyone else who loves trail running in Montana. I consider all of these people to be stakeholders and part of the “crew.” I’d like to see people organize Montana Trail Crew group runs in their own towns and use the site and community as a forum to promote trail stewardship activities there. Runners throughout the state should know that we want to hear from them, whether its in the form of race reports, stories of running adventures, trail running events they’d like to promote, or even issues affecting public lands they think the trail running community ought to know about. So please send us an email with suggestions, to contribute a story, or have something included in the weekly news. Describe your favorite hard workout. Definitely tempo runs. They’re my go-to workout. On the roads or flat trails, I’ll often do something like 12 total miles with a two mile warm up followed by 8 miles around 5:30 pace and a couple miles cool down. I’ll also do a very similar effort on rolling single track where I’m forced to shift gears on the climbs and descents. My favorite place for this is Blue Mountain, which has a lot of ups and downs, twists and turns. Instead of checking splits I just run it by feel and run pretty hard. It seems to do the trick. Favorite local and/or nonlocal trail race? There are so many great trail races out there, it’s tough to pick. For Montana races, Wulfman’s is as good as any. (I'm not just saying this because you and Ray helped create the event!) It’s a fun distance (14K) on a really great trail and the picnic afterward is tough to beat. Outside of Montana, everything is a new adventure and I really think that the variety is what I love. So instead of going back someplace year after year, I’m always on the lookout for new destinations. Favorite trail? My all-time favorite has to be the Teton Crest Trail in Grand Teton National Park. I feel a little bad saying that since Montana Trail Crew is all about promoting Montana, but I spent five years as a park ranger there after graduating from UM and absolutely fell in love with it. In Montana, it’s a bit tougher to pick just one. We have a lot of trails that rival the Teton Crest, such as the Beaten Path in the Beartooths or Highline in Glacier. Locally in Missoula I love the Rattlesnake and the loops off of the Stuart Peak trail. I draw a lot of inspiration from my peers here in Montana. Our running community includes athletes that are winning races against some of the best competition in the world, in some of the most amazing places in the world. People are also coming up with all kinds of adventures whether it be FKTs, film projects, or runs across our local wilderness areas and National Parks. People also train hard too. When I hear of friends logging a half dozen repeats up Mount Sentinel or see images from mountain summits attained before most of the world is awake, it makes my own modest outings seem a whole lot more doable. What is your greatest strength and weakness? My greatest strength is consistency. I try to keep my miles relatively high and keep a solid fitness base. But my weakness is that it’s not always easy to do. There are times that I have a real psychological battle going on just to get out the door. My mind and body come up with all kinds of excuses telling me to stay in where it’s warm and dry, etc. So with running it takes overcoming my weakness to realize my greatest strength. I think that this is a phenomenon that affects a lot of runners. It brings to mind a legendary runner’s response when asked what he thought was the most important workout in marathon training. He said something to the effect that it isn’t the long run or tempo, but 5 easy when it’s cold, dark, and rainy. I can’t say I have a spirit animal, but I’m pretty fascinated by wolverines and their ability to thrive in some of the harshest mountain landscapes imaginable. They also need a big territory and wilderness. I think I do too. And if that’s not enough they have really big feet and so do I. It can be tough to find size 13 running shoes. What is something unique about you that no one knows? I’m sure there are plenty of things about me that people don’t know about, but I suspect those are either things I’d like to keep under wraps or are so trivial they don’t even come to mind. As far as athletic-related things, I grew up playing hockey in North Dakota and Minnesota. I was a total rink rat but I broke my collar bone playing hockey twice, in 5th grade and when I was a junior in college playing on the University of Montana club team. Now I run with a noticeably uneven arm swing. I consider it my hockey-stride. What would you prefer- 1 million dollars or a lifetime guarantee of being injury free? Definitely 1 million dollars. A feel a little dirty saying that, but I can think of plenty of beaches where I could rehab my running injuries with a million dollars. Thank you, Jimmy, for the interview. We sure appreciate your time and all the work you do to make Montana a better place for trail runners. Great interview. Is this the part where we tell funny Jimmy stories?